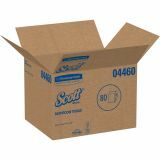 Small case sizes for easy handling and storage. 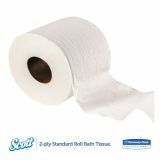 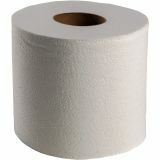 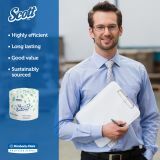 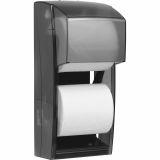 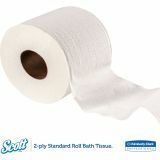 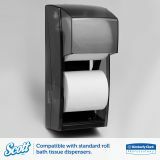 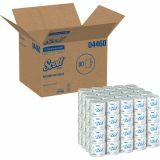 Scott Standard Roll Toilet Paper, 2-Ply, White, 4 x 4 1/10 Sheet, 550 Sheets/Roll, 80 Rolls/Carton - Embossed premium Scott tissue provides the ideal balance of strength, softness, absorbency and economy. 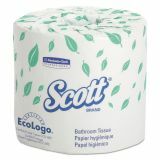 Exceeds EPA standards for minimum post-consumer waste content. 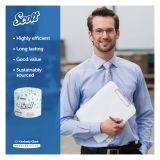 Product contains 40% post-consumer and 100% total recovered material. 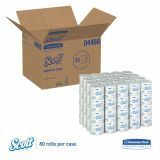 Packaging contains 34% post-consumer and 55% total recovered material. 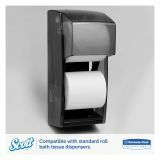 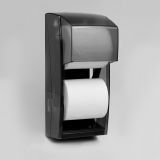 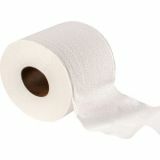 Each roll offers 550 sheets. 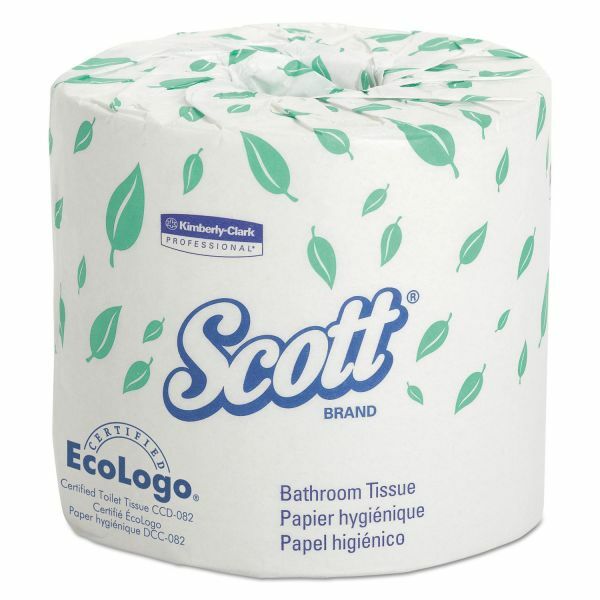 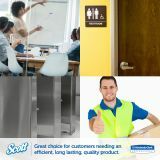 Each two-ply sheet measures 4" x 4-1/10" and meets EPA standards.